We love to go all out with details at every wedding we style, but our favorite details are the ones that tell a couple's story or give a little bit of insight into their interests or personality. Ally and Patrick incorporated several of their interests, likes and little bits of their story into every part of their wedding day, and it was magical. Every detail of this wedding was gorgeous, from the color palette that was perfect for a late fall wedding to the book page table runners. Their big day was captured by The McElmurrys via Erin Wilson, and these are honestly some of my favorite photos of the year! Ally and Patrick were married at The Barn at Twin Oaks Ranch on November 4, 2017. They chose a literary theme, with book pages and beautiful vintage books used throughout their decor. Their color scheme was gorgeous - cranberry, blue, gray and several neutrals. Of all the gorgeous details at this wedding, Ally's bridal gown and the bridesmaids' dresses were some of the prettiest. Ally's dress, from Norman's Bridal, was jaw-dropping. I'm obsessed with the neckline on this dress! This bride was glowing! And those shoes... major heart eyes! Ally's bridesmaids chose their own dresses, and I'm not sure mismatched bridesmaids' dresses have EVER looked better. How elegant and gorgeous are they?! The berry shades were stunning, and I love the different necklines they chose. They went flawlessly together... seriously the most classy, elegant bridesmaids ever. Also LOVING the guys' suits, too. Perfection. Ally's bouquet was traditional and timelessly beautiful, with red and white roses, lilies, blue thistle, and the prettiest greenery. The florals used throughout their decor were classic, but they also had a modern vibe. I love the addition of the ribbons in Ally's and the bridesmaids' bouquets, and how the bride's bouquet was the only one with pops of red. 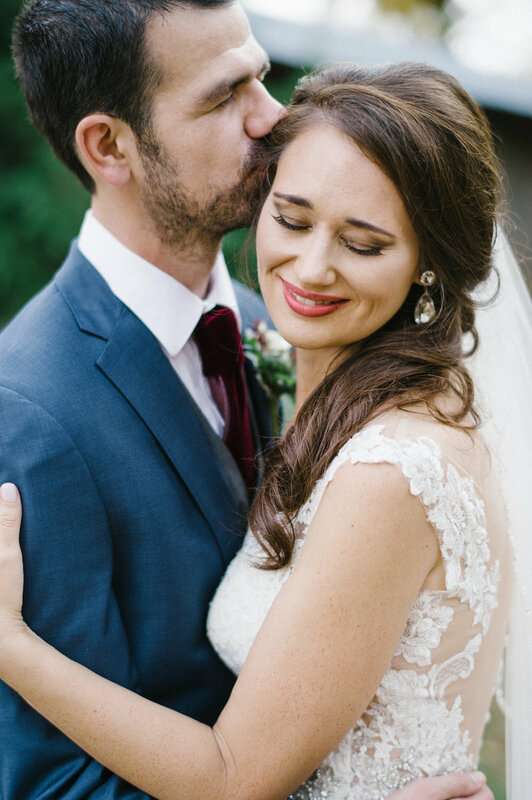 I always gush over first look photos and portraits of our brides and grooms, but these are some of my favorites of the year. I'm also swooning over the detail on Ally's dress! Y'all are beautiful people, Ally and Patrick! Ally and Patrick's ceremony details were perfect. 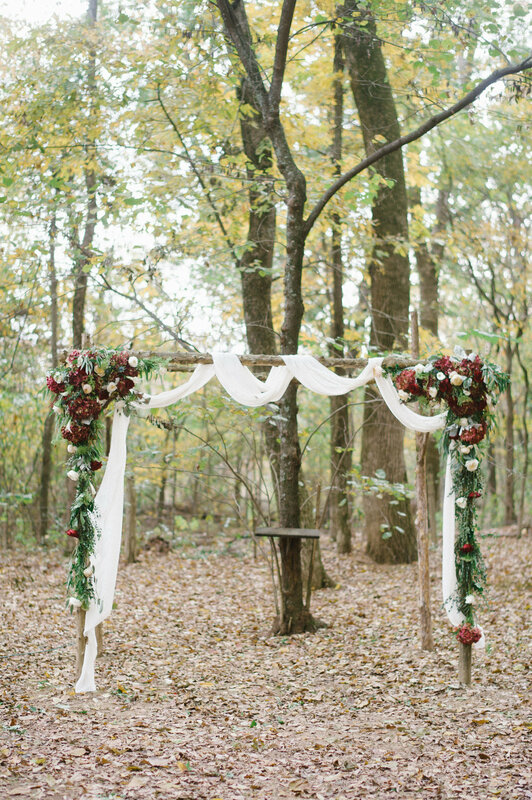 Their altar included a white drape, beautiful greenery and deep red florals. Their aisle was AMAZING. The greenery and florals down their aisle were the perfect addition - this was a ceremony to remember! Ally said her favorite part of the ceremony was the music. "We put a lot of thought into the music used during the ceremony and it sounded so amazing," she said. Another of Ally's favorite ceremony details was one that was unplanned. "We were lucky enough to have the leaves in the area peak during the weekend of the wedding," she said. 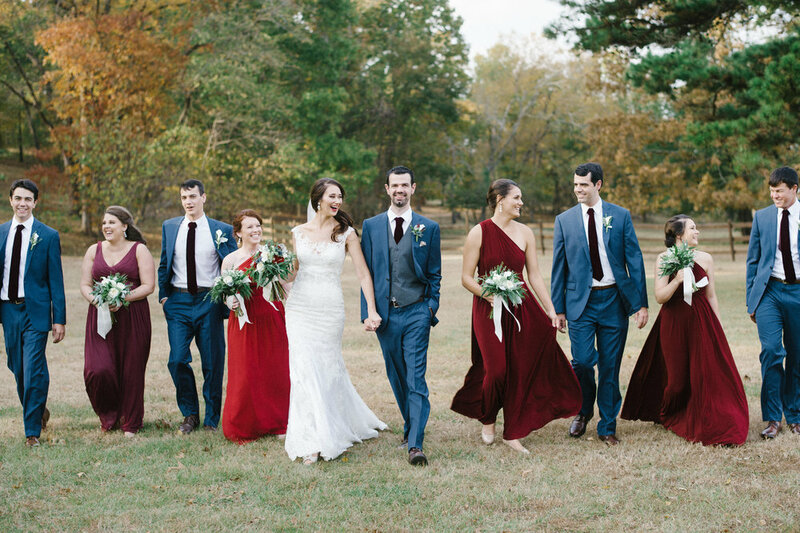 "The view around the venue was stunning and I had so many people comment on how gorgeous my walk down the aisle was with the leaves falling slowly behind me." Magical! Their reception tables included blue tablecloths, burlap and cranberry table runners, several gold details (vases, candlesticks and lanterns), stunning red and white florals, red tapers (LOVE), mismatched vintage glassware, super simple white and gold place settings, and vintage books and torn out book pages. Also, let's talk about their magical sweetheart table backdrop - I can't get over the book pages! You guys, I LOVE this reception. So many gorgeous details! They also had one more book-themed detail: their favors! 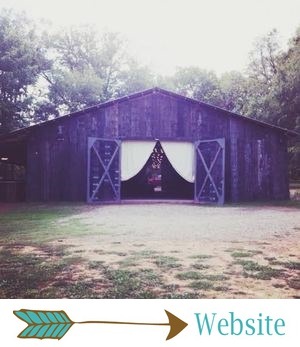 "The Barn team designed the most beautiful bookmark from our engagement photo that we gave as a favor," Ally said. "The literary theme was definitely unique to us," Ally said. "The books and torn out pages really took it to the next level for us. Plus, our love of popcorn was evident in the popcorn bar we hosted during the cocktail hour." One of Ally's most unforgettable moments of the day came at the very end: "I'll never forget the last song 'Hey Jude,'" she said. "That's a moment we'll never forget. We didn't realize that everything was winding down and were in a special moment on the dance floor. When we looked up, everyone was surrounding us on the dance floor and serenading us. It was like a scene from a movie and both Patrick and I were touched. It was the perfect way to end the evening." Ally and Patrick immediately went on a mini-honeymoon, and they plan to take a traditional honeymoon in the spring. 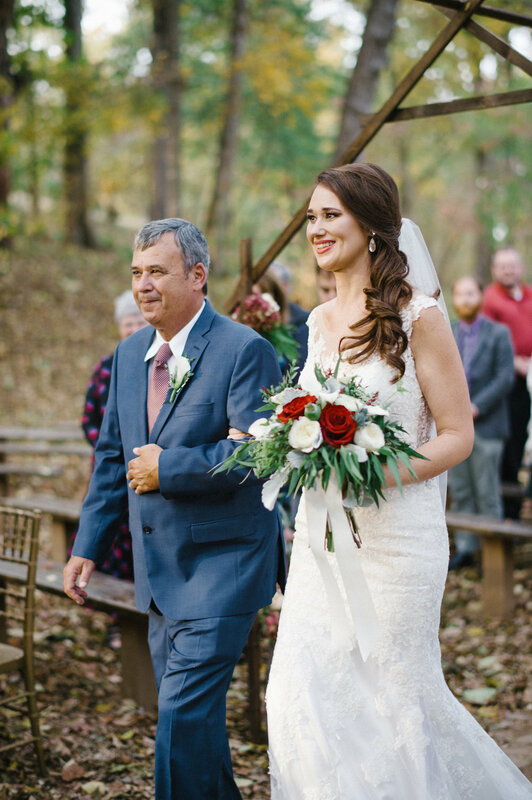 "The 3 days we spent at the Lake Rabun Hotel in the North Georgia mountains was absolutely wonderful," Ally said. "The leaves were at their peak and it was like something out of a fairy tale. The hotel was so remote and intimate that it felt like were the only ones staying there. I would highly recommend putting a visit to Lake Rabun on your bucket list. It was wonderful!"